One of the many good reasons to invest in an under-sink drinking water purifier is to limit your and your family’s exposure to bisphenol-A, commonly referred to as BPA. BPA is a carbon-based, man-made compound that has been used in the manufacture of plastics since the late 1950s. Eyeglass lenses, DVDs, cell phones, medical devices, bicycle helmets, adhesives, and plastic toys are just some of the types of products that contain BPA. 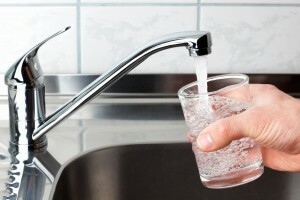 So, why should you be concerned about BPA exposure, and how can a drinking water purifier help? One of the more controversial uses of BPA is in the production of plastic water bottles. The concern is that BPA will leach into the water from the surrounding plastic and possibly be consumed. Though the U.S. Food and Drug Administration had long held that BPA in food and beverage packaging was perfectly safe, it recently expressed concern that prolonged exposure to BPA can negatively affect the human body in various ways, such as hormonal imbalances and heart problems. While it won’t limit your exposure to BPA entirely, an under-sink drinking water purifier can at least eradicate a major source of BPA from your life, namely plastic water bottles. A drinking water purification system – one mounted either under your kitchen sink or in the basement – will give you and your family 24/7 access to fresh, clean drinking water without the bottle. For more information about investing in a drinking water purifier for your home, contact an authorized RainSoft dealer near you. RainSoft is a leader of the residential water treatment industry and manufacturer of the Ultrefiner II, a highly advanced drinking water purifier that produces crisp, delicious water that’s ideal for drinking and cooking.